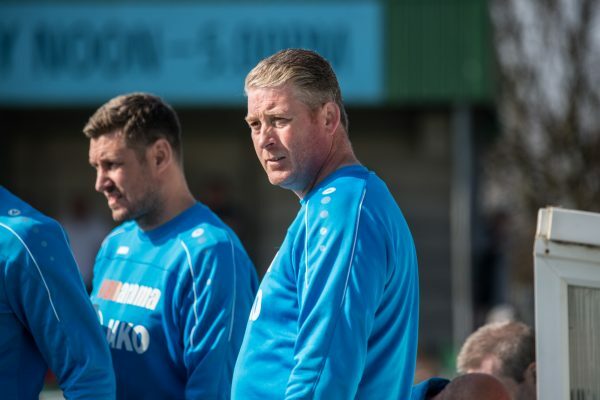 Alun Armstrong said it was a point earned, rather than two points lost after Spartans secured a 1-1 draw with third-placed Bradford (Park Avenue). Spartans led after Sean Reid headed home a Michael Liddle cross on 26 minutes, scoring his 13th goal of the campaign. But the hosts replied via the forehead of Connor Branson 14 minutes from time to earn a point. Robbie Dale had the opportunity to win the game with the final kick of the game, but Avenue goalkeeper Steven Drench saved his spot kick deep into added time. And Armstrong responded to suggestions from supporters than Reid should have taken the kick. “Reidy takes the penalties when Robbie isn’t on the pitch, Robbie was confident taking it, and anyone who is confident enough to take a 93rd minute penalty can have at it. Jarrett Rivers was give a straight red card six minutes from time after referee Barry Lamb initially shown the substitute a yellow card – before speaking to the assistant Darren Brown. “To be honest I thought the referee had a shocker all afternoon. “Then the sending off, everyone knows Jarrett is not like that and you can see he’s pushed in the back and turned into their player. We’ll take another look on the video and we’ll likely appeal. On replay, Bradford Nicky Clee shoulders Rivers in the back, with the unfortunate outcome resulting in an attempted block of a pass going badly wrong. On reflection, however, Armstrong believes that a draw was probably the fairest of results on the afternoon. ” I think Bradford had the better of the opening 20 minutes, and in all honesty we could have gone it at the break at 4-4, so to go in 1-0 up was fantastic. “I thought second half we could have gone 2 or 3 up as we missed a few chances, then we began to sit to deep and allowed them a route back into the game.